This tale of a seven-year-old stowaway, who became a cabin boy because the ship on which he sailed had traveled too far from port, explains how Dominique Youx1 got his nickname. Whether it is a true account or the product of an imaginative writer’s mind is unknown. Several documents that he signed or that concerned him show his name as Frédéric Youx, while some histories give his Christian name as Alexandre Frédéric, identifying him as the eldest brother of Jean and Pierre Laffite.2 To further complicate the question of his name, Charles Etienne Arthur Gayarré3 mentions in his Histoire de la Louisiane (1847) that Americans called Youx “Johnness”. As with many pirates, the Laffites included, Youx’s early life is an enigma. Most resources cite Haiti as his place of birth in 1775. Stanley Clisby Arthur4 is more precise: Port-au-Prince, San Domingo, April 14, 1771. Included in the Laffite family papers that he consulted, one person wrote: “foxy Oncle Youx had the reputation of telling the truth one day but would lie the next.”(Gentleman, 227). He may have gone to France to serve as a gunner in Napoleon’s army. He may have returned to Saint-Domingue in 1802 with General Victor Leclerc. According to a letter in volume five of The Laffite Society Chronicles, one member and his associates located evidence in France placing Dominique, as well as the Laffite brothers, in Baracoa, Cuba in 1798. Beginning in late 1805, however, Dominique’s name appears in documents housed at the Archives de France in Paris. Records from the prize courts located in the West Indies mention him as the captain of la Superbe, a privateer owned by Monsieur Jacques Plaideau. Youx and fellow corsairs captured three American vessels – Jane, a brigantine, and two schooners, Eliza and Eleanor5 – which were condemned as lawful prizes then sold in Cuba. On 27 November 1492, Christopher Columbus discovered a natural harbor on the northeastern coast of Cuba. The Indians called it Baracoa, although the Spanish changed the name to Neustra Señora de la Asunción de Baracoa in 1511 when Diego Veláquez established the island’s first settlement and capital there. Sailors used El Yunque, the anvil-shaped mountain rising 1,885 feet above Baracoa, as a landmark because they could see it from miles away at sea. The city’s remoteness made it difficult to govern the entire island so the capital was moved to Santiago de Cuba. Baracoa’s isolation, however, made it a haven for corsairs and illegal traders. During the Haitian revolution (1791-1803), many citizens fled the French colony for Baracoa. The corsairs, who attacked ships from America and Sweden bound for Saint-Domingue with cargo for the rebels or carrying African slaves, took their captures to Basse-Terre, Guadeloupe or Saint-Domingue. Once the Admiralty courts judged the ships as lawful prizes, the corsairs sent the vessels to Cuba to be sold. Youx sold his prizes in Baracoa. While the French document doesn’t identify the vessel that attacked Dominique’s ship, the London Gazette7 published the following item from the Admiralty on 27 December 1806. 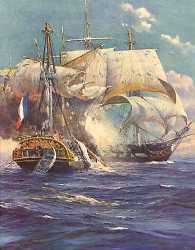 I HAVE much Pleasure in reporting to you the Capture of the French Schooner Privateer La Superbe of Fourteen Guns (Two Nine-Pounders and Twelve Six-Pounders) and Ninety-four Men, commanded by M. Dominique Houx, by Lieutenant Fitton in His Majesty’s Schooner Pitt. This Officer meeting La Superbe off Cape Nicholas Mole on the 24th, after an arduous Chace with Sweeps, got within Gun Shot, and commenced a running Fight, which he continued with little Intermission, and in almost every Direction until the 26th, when at Nine A. M. Cape Maize bearing N. N. W. Six Leagues, they were discovered from the Tops of the Ship I command, and it was then that I witnessed with the greatest Satisfaction a display of Skill and Bravery supported for Four Hours and an Half, which entitles the Parties to the greatest Praise. The Two Schooners within Pistol Shot kept up a constant Fire. La Superbe seeing us to Leeward, made many Manoeuvres to escape, but was as often foiled, Lieutenant Fitton carefully preserving the Weather Gage, and it was not until after a desperate Resistance, until she was in a sinking State, and when our fortunate Leeward Position prevented further flight, that the Frenchman ran his Vessel upon the Rocks in Ocoa Bay and deserted her, accompanied by those of his Men who were not either killed or dangerously wounded in the Action. I cannot help repeating how much I am gratified in describing the Merits of this Affair, and in thus bearing Testimony to the Credit which Lieutenant Fitton, his Officers and Men have acquired, by the Stile in which they fought and captured this notorious Robber. In La Superbe’s Hold were found Four Men already dead of their Wounds, and Three whose State affords little Hope; they allow that Fourteen fell in the Action, and from the Appearance of the Decks much Blood must have been shed. The Pitt has suffered in her Sails and Rigging, and had Two Men badly, and Six slightly wounded; and I am happy to add that we succeeded in getting the Prize off. On 29 July 1807, Dominique Youx aided Captain Luis Arrúe, in the defense of Baracoa against the British.9 Although the Governor of Jamaica refused to lose men in a fight against the privateers who frequented the Spanish port, Captain Tait of the Royal Navy decided to go against those wishes. He received orders to take the army’s 99th Foot from the Bahamas to Bermuda aboard HMS Chichester, a store-ship. Four officers and eighty-seven men, who had been recuperating at the hospital in Nassau, came aboard, then Tait asked permission from the Governor of the Bahamas to attack Baracoa. He, too, denied the request, but Tait chose not to heed those commands. With the assistance of a privateer, the two ships set sail for Cuba where Tait disembarked his passengers, along with some marines, with orders to capture the battery that prevented the Chichester and privateer from getting too near the port. The soldiers came under heavy fire from nine cannon and a large contingent of infantry. Driven back to the beach, they surrendered because the boats had returned to the Chichester. The captured soldiers spent one month as prisoners until they were exchanged. Thirteen men died in this failed endeavor. Another twenty or so were wounded. In 1810 Dominique learned that a junta had severed ties with the Spanish government in Cartagena de Indias, New Granada. He sailed there and acquired a letter of marque with the signatures of Presidente-Gobernader Manuel Rodriguez Torices and Secretary of War Joseph Axnazola y Vonay. Youx also received a code of conduct that outlined the regulations and rules for privateering. Dominique Youx, aboard le Pandoure, noticed “violent winds” and “waves” as he approached the Mississippi on 19 August. The hurricane eventually forced the corsair to seek refuge ashore in the Plaquemines area of Louisiana.
. . . sur le même Jour à quatre-heures de l’après midi la violence du vent le força d’atterrir sur l’habitation de M. Charles Jacob – a environ Quinze ou Seize lieues de la ville; que le vent ayant alors continue à augmenter avec la plus grande violence et les Eaux du fleuve et des lacs voisins s’étant considérablement accrues au point d’avoir huit à dix pieds d’eau environ au dessus de rez de chaussée de la maison du dit Sieur Charles Jacob, Il se refugia avec les Susnommés et la famille du dit Sieur Jacob Sur le Sommet de la dite maison . . . While Captain John Shaw, who commanded the naval station at Fort St. Philip, mentioned the devastation to the city in his 23 August report to Secretary of the Navy Paul Hamilton, his primary concern was for the ships under his command because of the war. The French privateer Pandour, which has weathered the past storm with the loss of her Masts; and whose Capt. has been nearly killed, is now at port Plaquemine. They have made an application to me to obtain the permission to pass the fort and come to town to undergo the necessary repairs. Youx’s share came to $743.02. The vessels and their cargo, which were valued at $36,921, sold for $20,721.38. This inventory also detailed the privateers’ expenses during this voyage. At Cape Cruz, Cuba, they purchased two cows, bananas, pigs, and eggs for sixty-four dollars.13 Among the items secured at Grande Isle à L’Isle à Breton were medical instruments for fifty-two dollars and provisions that included peas, rum, cheese, ham, and butter. At la Pointe au Sable near la Balize they secured four barrels of tafia or rum. Sometime between his arrival in New Orleans and 15 October, Dominique’s letter of marque expired. On that date he sold le Pandoure for $7,500. An inventory, dated 17 September and signed by “frederic youx” and the French Consul Laporte, described the schooner as being 126 tons and measuring seventy-five feet from stem to stern and almost twenty-two feet at her widest point. She mounted one 16-pound and six 12-pound carronades, two 8 pounders, and a 9 pounder, while another three 4 pounders were stored in the hold. The arms found on board included pistols, blunderbusses, and cutlasses. Other items included eighty or so cannonballs of various sizes, thirty to forty packages of grapeshot, four barrels of powder and cartridges. Thereafter Youx was frequently seen in the company of Jean Laffite, Renato Beluche, and Vincent Gambi. Vincent Nolte, a merchant, complained about them. Sometime after the sale of le Pandoure, Youx became captain of le Tigre, also a schooner. Not much is known about the vessel, but accounts of her final voyage exist. At the time she sailed under the colors of Cartagena, which meant Dominique had secured another privateer commission from that fledgling nation’s new government, possibly through Jean Laffite. In May 1814, Youx and his men sailed near the coast of Mexico. Colonel Ellis P. Bean, an American who fought for Mexican independence, wrote his memoirs in 1816. Two years earlier he had been at Nautla, located about seventy-five miles north of Vera Cruz, when two ships approached, one of which was le Tigre. Dominique’s next vessel was a felucca, but the record so far has revealed little of his activities again until 14 September 1814. Eleven days earlier, HMS Sophie, under the command of Captain Nicholas Lockyer, arrived off Barataria.14 He carried four documents for Jean Laffite. The first was a proclamation urging the citizens of Louisiana to rise up in support of the British. The second one promised that if Laffite and the Baratarians ceased their attacks on British and Spanish ships and joined the Royal Army, his rank would be that of captain and the Baratarians would receive land grants. The third document contained orders for Lockyer depending on what Laffite’s response was, while the fourth demanded restitution from the Baratarians for captured prizes or Lockyer would “destroy, to his utmost every vessel there, as well as to carry destruction over the whole place.” (Davis, 169) Laffite duped the British into believing he needed ten days to convince his men to take advantage of their offer. In actuality, he sent the documents to Governor William C. C. Claiborne in New Orleans. Lockyer sailed off, promising to return. [they] have now arrived to such a pitch of insolence and confidence from their numbers as to set the revenue laws and force at defence, and should they not be soon destroyed, it will be extremely hazardous for an unarmed vessel even American to approach this coast. Patterson believed he could destroy the Baratarians, but not until 8 July 1814, did Secretary Jones order him to do just that and sent him the USS Carolina to assist. She arrived in New Orleans in mid-August. 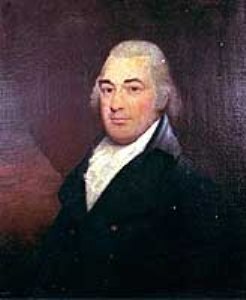 When Governor Claiborne received the British documents from Laffite, he called a meeting of those men he sought counsel from on the defense of the city, including Patterson. Claiborne suggested the commodore postpone his attack on Barataria, but Patterson refused on grounds that he could and would not disobey his orders. The majority of men present agreed with Patterson, so the planned attack was put into motion. Although the white flag of surrender, as well as the flags of the United States and Cartagena were flown from one of the privateers in the bay and Patterson acknowledged with a white flag in response, he saw two other privateers torched. Realizing the Baratarians meant to destroy whatever they could, he ordered his men to attack. Dominique tried to flee in his felucca, but American gunboats blocked his escape. One opened fire, forcing the felucca to run aground. He then tried to escape in a pirogue, but the soldiers and sailors captured him and eighty others. The confiscated goods included medicinal herbs, glassware, anchors and other ship’s supplies, wine and spirits, German linen, silk stockings, coffee, cocoa, window glass, flour, spices, cigars, raisins, candles, and chocolate. The raiders also seized in excess of $8,564 in gold, silver, specie, and paper notes. Documents, pertaining to merchants who did business with the Laffites and a list of the signals the Baratarians used to permit a friendly vessel to enter the bay, were also found. Once they arrived in the city, Patterson charged the Baratarians with piracy and imprisoned them in the Calaboose behind the Cabildo. Dominique was put in heavy irons. Patterson also filed suit with the court claiming the confiscated ships and goods as prizes so he and his men would receive their shares once these items were condemned and sold at auction. Information gleaned from a private letter and published in the Niles’ Weekly Register on 27 October 1814, estimated the value of the confiscated property at $500,000. During grand jury proceedings in October, testimony was given against Dominique. It stated he had taken $6,000 worth of goods, but that he did not take them or the vessel to Cartagena. Other evidence claimed he never displayed a letter of marque from that nation or any other country. The indictment against him was returned on 24 October. But events unfolding outside the court system and influential men contrived to prevent the prosecution of the captured prisoners. 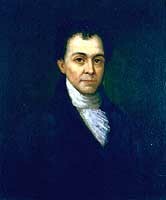 Edward Livingston felt the government was responsible for their activities because it failed to deal with their smuggling in a timely manner. He pointed out that they numbered among their contacts many influential people, which when coupled with the social and ethnic divisiveness within the city, might lead to trouble at a time when America could ill afford it. To quiet this unrest, he suggested to President James Madison that he pardon all Baratarians who agreed to help defend the city against a British attack. 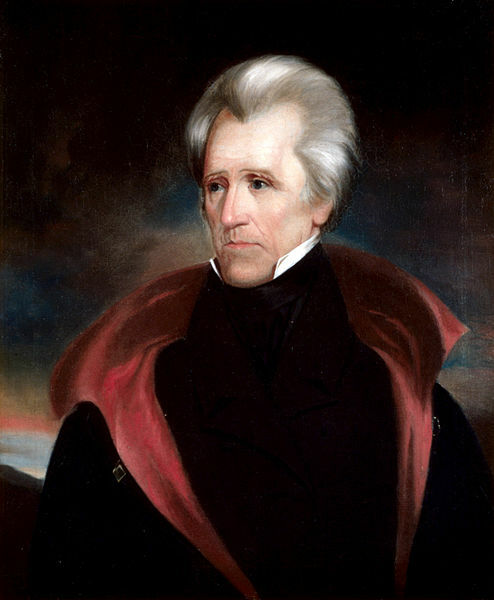 After Major General Andrew Jackson’s arrival in New Orleans on 1 December 1814, a handful of men approached him about the prisoners, but he refused to intervene. The legislature passed a resolution requesting the federal court postpone any further trials. It also asked the general to offer amnesty to any man who enlisted during the next thirty days and promised to petition Madison for a full pardon for anyone who served faithfully. Dominique and the other captives were eventually released on 18 December, took oaths of allegiance, and joined the militia. Baratarians who escaped Patterson’s raid also took up arms in defense of the city and Jean Laffite turned over 7,500 flints. Dominique and Renato Beluche were sent to Fort St. John with orders to defend this approach to the city. The French built the first fortification at the mouth of Bayou St. John at Lake Ponchartrain in 1701 before New Orleans was founded. When the Spanish gained control of Louisiana, they built a larger brick fort on the site. The Baratarians defended this site until they received orders from Jackson on the morning of 28 December. The British fleet arrived off the Louisiana coast on 9 December. Five days later, under the command of Captain Lockyer of HMS Sophie, enemy forces engaged and defeated five American gunboats on Lake Borgne. On 23 December, the British advanced as far as the Villeré plantation. That night Jackson led a surprise attack against them. After creating a shambles of the British camp and wreaking havoc on their troops, he ordered his men to withdraw to the Rodriguez canal located between the plantations of Macarty and Chalmette. By this time, General Sir Edward Pakenham had assembled nearly 10,000 men on the British side of the battlefield.16 Later that morning, that army began its assault. When Jackson congratulated his men on 21 January, he praised Dominique and Renato. The following month, they received their full pardons from President Madison. In March, Judge Hall, who had postponed the Baratarians’ prosecutions, demanded the general appear in his court and pay of fine of $1,000 for contempt. Jackson did so. Among those gathered outside the court to support him were Dominique and Renato. Edward Livingston successfully represented Dominique in his case for compensation for the felucca, which Patterson had confiscated and was sold after the raid, four months later. After a Spanish schooner, the Mexicain, was brought into port later that year, Dominique was hired to refit and make her seaworthy. Once that work was completed he would become her captain and she would cruise as a privateer again. Although he didn’t own the vessel, he incurred $1,061.25 in debt working on her, but the owner only reimbursed Dominique $580. He placed a lien on the privateer, but her sale in December failed to recoup his money and prevented him from continuing his career as a privateer for the next three years. 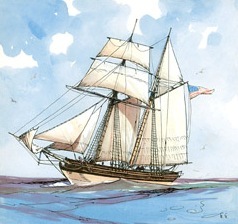 After procuring the Louise in September 1817, Dominique made repairs to the schooner, rechristened her Josephine, and acquired a Mexican commission. With the checkerboard flag of that republic atop a mast, he captured a Spanish schooner on 30 November and put in at Jean Laffite’s new base of operations, Galveston. In 1818 Dominique joined forces with Louis Aury, who had used Galveston as a base of operations before Laffite took over. 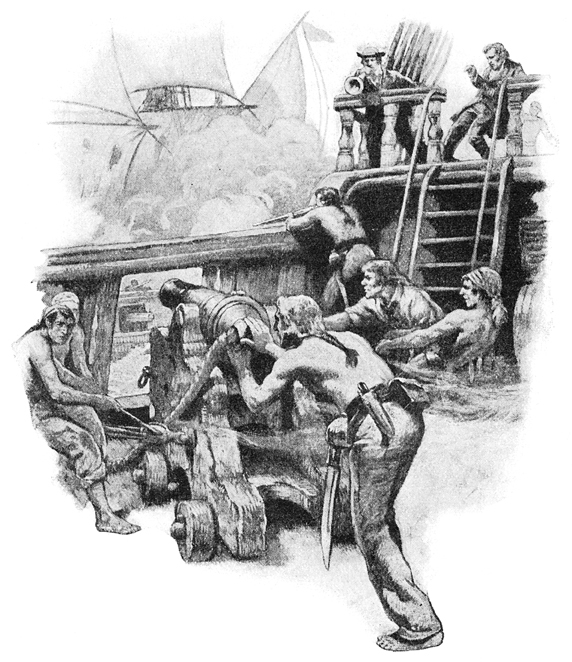 Aury planned to attack Honduras seaports loyal to Spain, so Dominique added four additional guns to his schooner Guerrière with her crew of twenty-five and two long nine-pound guns. They attacked two strongholds in April and May of 1820, but Dominique preferred privateering to fighting an army. With opportunities to legally seize enemy vessels in the Gulf of Mexico greatly diminished, Dominique bid adieu to the seafaring way of life. He returned to New Orleans, where he lived in a small cottage in the Faubourg Marigny section of the city. According to Stanley Faye, he served as an alderman for a time. Whenever Andrew Jackson ran for office, Dominique supported him. During the final two years of his life, he kept to himself and rarely went out. “At times, it is said, his humble home was without food” and he “was too proud to seek aid from ‘fair-weather friends’.” (Kendall, 27) They didn’t become aware of the direness of his situation until the day before he died. Death came to this privateer on 14 November 1830 at four in the afternoon.18 Although there were had no funds for his burial, New Orleans didn’t forget this hero of the battle who saved the city and its citizens from British occupation. He was given a military funeral with a mass at the cathedral. Businesses closed. Flags flew at half staff. 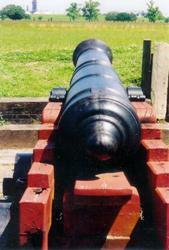 Cannon were fired in his honor. Among those who attended his funeral were members of La Concorde No. 3, the Masonic lodge he joined in 1814. His body was transported to St. Louis Cemetery No. 2 for interment. The Louisiana Courier carried his obituary. Aurait pu sans trembler voir s’ecrouler le monde. Could have witnessed the ending of the world without trembling. 1. Some historians spell his name as You, others as Youx. Copies of documents from the Williams Research Center in New Orleans use the latter spelling, but the center itself uses the former. For clarity and to distinguish him from the pronoun, I use Youx. 2. When Stanley Clisby Arthur and Jane Lucas de Grummond, both reputable historians, published their books, they believed one of their consulted sources to be authentic. The controversy as to whether Le Journal de Jean Laffite is actually Laffite’s or a remarkable forgery continues today. Robert L. Schaadt, Director-Archivist of the Sam Houston Regional Library & Research Center for twenty-seven years, wrote: “. . . I believe that I have proved conclusively that [it] is filled with inaccuracies, inconsistencies and several glaring and outright distortions of the truth.” (Memoirs, 33) The position of The Laffite Society, whose members conduct research on the Laffites and their contemporaries, is that the journal is a forgery. I concur. Nor do I believe Youx was a Laffite. 3. Born in 1805, Gayarré was one day shy of his tenth birthday at the time of the Battle of New Orleans. His family’s plantation was located in what today is known as Audubon Park, and during his lifetime, he was a lawyer, politician, judge, historian, and writer. As a child he certainly knew of Dominique Youx, but whether the two ever met I don’t know. 4. A former war correspondent during the Spanish-American War, Arthur spent much of his life documenting Louisiana’s culture, history, and customs after he moved there in 1915. He was a regional director for the Survey of Federal Archives, a joint project of the Works Progress Administration and the National Archives during the Great Depression. 5. The Eleanor was captured in consort with another corsair, Victor Lesage. 6. 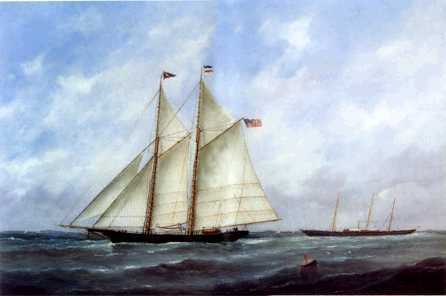 La Vipre, a schooner out of Baltimore, Maryland, was declared a lawful prize on 15 December 1806. 7. The Gazette, the oldest continuously-published newspaper in the UK, began its run in November 1665 as the Oxford Gazette as a news sheet for Charles II and his court, which resided in Oxford because of the rampant spread of the plague in London. When the Court returned to the capital the following year, the name was changed to its current title. It had two columns on the front and back of a single sheet of paper and was published every Monday and Thursday. The principal readers were merchants, lawyers, and military officers. 8. The resources I had access to at the time of this writing do not permit me to delve deeper into this mystery to see if Youx, Houx, and Diron (in this instance) are the same person. The historians who name Diron as the infamous privateer that tangled with the Pitt may have confused him with Dominique Diron of the Decatur, a successful privateer out of Charleston, South Carolina, during the War of 1812. 10. David Ludlum coined the name in the second half of the 20th century while researching hurricanes between 1492 and 1870. 11. Dudley Callais’ article, cited below, puts the total cost at $6,000,000, which is equivalent to $85,000,000 today. 12. This passage is taken from an affidavit in the collection of The Williams Research Center in New Orleans. Frederic Teinburier (lieutenant), Pierre Mouillé (master carpenter), André Bertellau (second gunner), Thomas Raffo (topman), and Pierre Manuel (topman) were members of Youx’s crew aboard le Pandoure and gave testimony on 23 August 1812 before Jean Baptiste Laporte, Chancellor of the French Consul in New Orleans. Although I translated the majority of the document, I am indebted to Armand Robichaud of Canada for assistance in deciphering what I could not. 13. Eleven years after Dominique visited Cape Cruz, Commander David Porter led a squadron of naval vessels there with the intention of destroying a pirate stronghold. The leader of the landing force was Lieutenant David G. Farragut, best known for his “Damn the torpedoes!” statement during the Battle of Mobile Bay in 1864. 14. Launched in 1809, Sophie was a brig sloop of eighteen guns. Lockyer and his men burned the Baltimore privateer Pioneer, with seventeen guns and 170 men, on New Year’s Eve 1813. In April of the following year, she captured another privateer, the Starks, a schooner with two guns and twenty-five men. At the time Patterson attacked Barataria, Sophie joined the British attack on Fort Bowyer at the mouth of Mobile Bay. 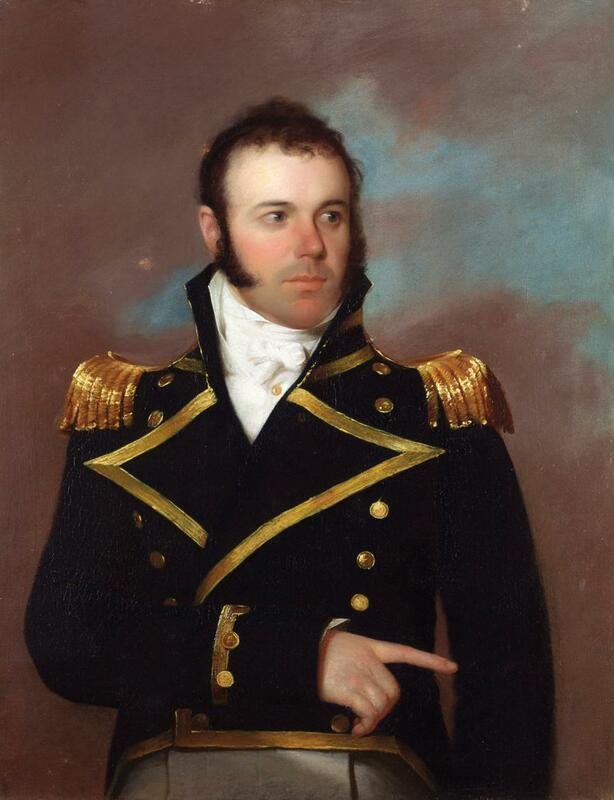 Lockyer later led an attack on American gunboats on Lake Borgne in mid-December 1814. 15. 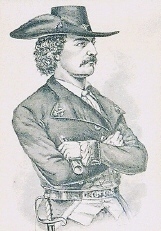 Jean Laffite had absented himself from Barataria, perhaps because he knew the raid was imminent. 18. Sixty-five years after his death, Dominique Youx’ s exploits inspired Octavius Nash Ogden, a lawyer and judge who owned a cotton plantation in Rapides Parish, Louisiana, to write a three-act tragedy entitled Dominic You in 1895. 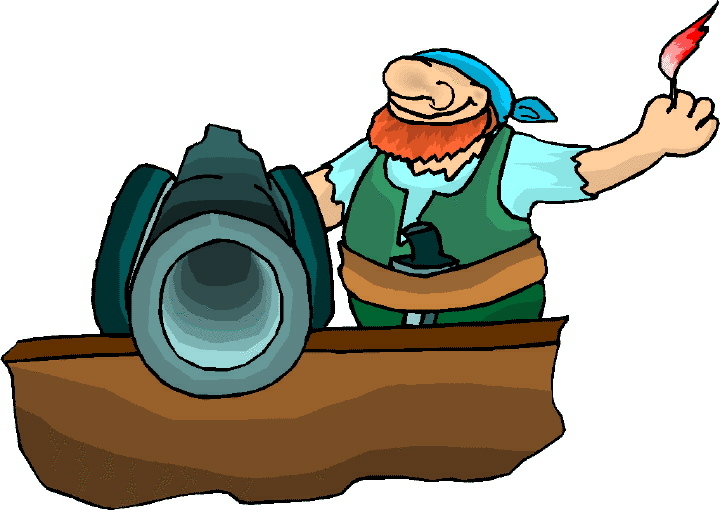 It bears little resemblance to the privateer’s actual life and career. Arthur Stanley Clisby. Jean Laffite, Gentleman Rover. Harmanson, 1952. Arthur, Stanley Clisby. 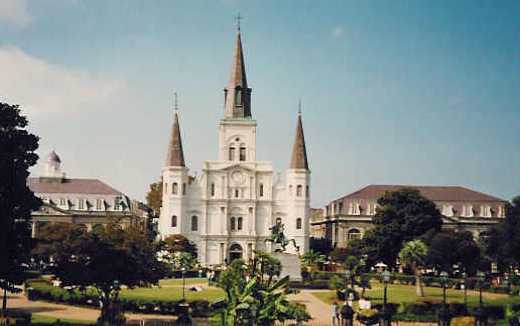 Old New Orleans: Walking Tours of the French Quarter. Pelican, 1995. Asbury, Herbert. The French Quarter: An Informal History of the New Orleans Underworld. Alfred A. Knopf, 1951. Ballou, Maturin M. History of Cuba. Phillips, Sampson & Co., 1854. Bean, Peter Ellis. Memoirs of Colonel Ellis P. Bean. Book Club of Texas, MCMXXX. Buell, Augustus C. History of Andrew Jackson: Pioneer, Patriot, Soldier, Politician, President. Charles Scribner’s, 1904. Callais, Dudley. 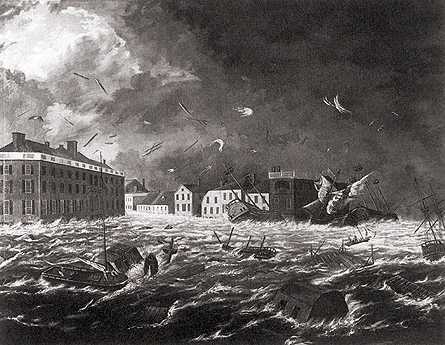 “The Great Louisiana Hurricane of 1812,” Examiner.com 1 September 2010. Casey, Powell A. Louisiana in the War of 1812. ?, 1963. Cole, John William. Memoirs of British Generals Distinguished during the Peninsular War. London, 1856. Volume 2, 327-367. Davis, William C. The Pirates Laffite: The Treacherous World of the Corsairs of the Gulf. Harcourt, 2005. Faye, Stanley. “The Great Stroke of Pierre Laffite,” Louisiana Historical Quarterly 23:? (1940), 747 and 750. Feuillie, Sylvie. “DominiqueYoux and La Superbe,” The Life and Times of Jean Laffite IX:1 (Spring 1989), 2-3. Fortescue, John William. A History of the British Army, Vol. 7. Macmillan, 1912. Greene, Jerome A. Historic Resource Study: Chalmette Unit, Jean Lafitte National Historical Park and Preserve. U.S. Dept. of the Interior, National Park Service, 1985. James, William. Naval History of Great Britain 1793-1827, Vol. IV. R. Bentley, 1837, 268-270. Johnson, Willis Fletcher. The History of Cuba. B. F. Buck & Co., 1920. Kendall, John Smith. “The Huntsmen of Black Ivory,” Louisiana Historical Quarterly 24:1 (1941), 9-34. Keyes, Pamela. “Jean Laffite: Catalyst to Jackson’s Victory at New Orleans,” The Laffite Society Chronicles X:2 (October 2004), 2-8. Kimball, Richard Burligh, Cristóbal F. Madan, and José Antonio Saco. Cuba and the Cubans. Samuel Hueston, 1850. The Naval War of 1812: A Documentary History edited by William S. Dudley and Michael J. Crawford. Vol. 1. Naval Historical Center, 1985. Nolte, Vincent. Fifty Years in Both Hemispheres or, Reminiscences of the Life of a Former Merchant. Redfield, 1854. Office of Media Relations. “USC Geographer Recreates Louisiana Hurricane of 1812,” University of South Carolina. Reilly, Robin. 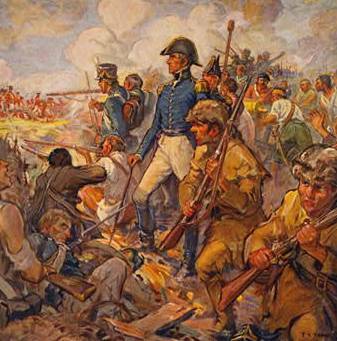 The British at the Gates: The New Orleans Campaign in the War of 1812. Robin Brass Studio, 2002. Remini, Robert V. The Battle of New Orleans: Andrew Jackson and America’s First Military Victory. Viking, 1999. Vogel, Robert C. “Jean Laffite, the Baratarians, and the Battle of New Orleans: A Reappraisal,” Louisiana History XLI:? (Summer 2000), 261-276. Vogel, Robert C. “Patterson and Ross: Raid on Barataria, September 1814,” Louisiana History XXXIII:? (Spring 1992), 157-170. Walker, Alexander. Jackson and New Orleans. J. C. Derby, 1856. Wilson, Reginald. “Commodore Patterson’s Raid on Grand Terre,” The Laffite Society Chronicles VI:2 (September 2000), 3-4. Wright, I. A. The Early History of Cuba 1492-1586. Macmillan, 1916.